African-American women are no strangers to hair loss and/or damage. Tension from braids, twists, and weaves can cause permanent follicle damage, especially to the “baby” hair around the perimeter of the head. Additionally, chemicals such as relaxers and colors can also cause damage if the product is not applied properly. A new discovery by a South African scientist reveals that it is not always due to negligence by discovering the gene that is linked to hair loss in women of African descent. This is probably the biggest breakthrough in South African Dermatology. This discovery is a first in the world, and it followed links to my earlier publication of 2013, in which I reported for the first time a familial association in a cluster of black South African families with CCCA and have been following the 15 families for five years, and seven years later a gene has been identified. This has huge implications on early diagnosis, prevention and possible future targeted therapy of CCCA. According to the American Academy of Dermatology, the number one cause of hair loss in African-American women is a condition called central centrifugal cicatricial alopecia (CCCA), a disorder in which inflammation and destruction of hair follicles cause scarring and permanent hair loss. African American women are also prone to traction alopecia, a type of hair loss caused by styles that pull the hair too tight. In addition to these conditions, this community of women also may be affected by other hair disorders like female pattern baldness. Patients were recruited from Durban, South Africa, and Winston-Salem, North Carolina. The study found that the gene, peptidylarginine deiminase 3 (PAD13), which helps mature proteins for proper hair shaft growth, was mutated in most of the affected patients suggesting that the disease is genetically heterogeneous. Scientists also found that the distinct variants in PAD13 in each of the disorders may account for the difference in clinical outcomes. Despite the natural hair movement of the past decade which has led black women to abandon chemical straighteners, many black women are hiding their real hair with fake hair. For many of these women, dealing with their natural form of tightly coiled or curly hair is “too much work” and can be costly to maintain. One of the popular options for managing black hair is to sew another woman’s hair into their own. This process is clinically proven to cause permanent hair loss, yet as a community, the African American community has spent decades working to minimize the effects of this particular hair practice to seem inclusive to mainstream society which seeks to match “white” beauty standards. This, along with other methods has proven to be detrimental to the health of “our” hair. Black people are still not fully accepted in many workplaces with “natural” hairstyles. This non-acceptance is historical and systemic and the reason many still go out of their way to code switch. Discrimination continues to exist. Despite being tagged more than four million times on Instagram, some wonder if it is worth it to be #teamnatural if bringing your natural self to the place you spend most of your time causes friction. The normal cycle for hair growth and replacement is about two to six years. One string of hair, from the average scalp which has 100,000 hairs, grows at a monthly rate of half an inch. Then the hair rests a while before it falls out and is soon replaced with new hair. This cycle then repeats itself. At any given time, 85 percent of hair is growing, and the remainder is resting. Many dermatologists agree that irreparable hair loss affects black women more than any other ethnicity. On the surface, it is easy to rationalize the hair loss to the combination of heat-styling practices, damaging braiding and/or drier hair texture. This often results in a vicious cycle of braids, weaves, and extensions which leads to hair loss and breakage. In hopes of disguising hair loss, the pattern promotes more damage and distress. 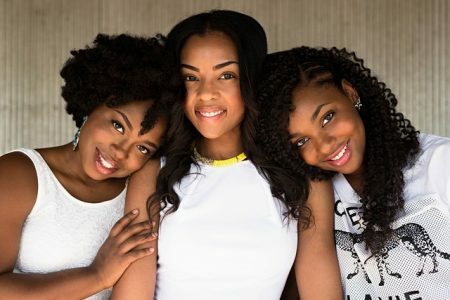 Most women will suffer some form of hair loss or hairs thinning in their lifetime but black women are finding it through hair styling choices which are detrimental to their hair and scalp. However, it is not always about styling choices. The discovery of the new gene is paramount. It has huge implications for early diagnosis, prevention, and therapy. Congratulations to Professor Dlova whose very exciting work with her associates brings new light for African American women. The study was published in the New England Journal of Medicine and is titled: Variant PAD13 in Central Centrifugal Cicatricial Alopecia. CCCA is the most common cause of Cicatricial alopecia in people of African descent. This ground-breaking work is the first to establish a genetic basis for this vexing cause of alopecia. It may take years for the benefits of this discovery to reach the United States. However, African-American women can shorten that process by researching and asking questions about the newly discovered gene to their dermatologist.